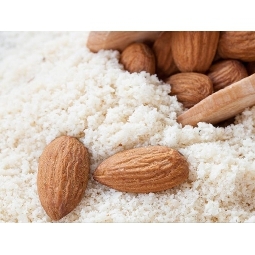 Ground almonds play a fundamental role in many recipes. This ingredient contains no gluten and is rich in proteins. Marzipan is made from ground almonds and sugar and you can prepare many types of cakes and biscuits with ground almonds. Why not try an unusual breading made of ground almonds? The best almonds 100% natural, dried under the heat of the summer sun and peeled; no chemical products both on the trees and their fruits are used. The pick up is hand made between July and August. The Almonds can be peeled or natural, ready to be used in many different ways in the kitchen: they can be chopped up and turned into grain, added to a first course or main courses. They're perfect for desserts too, in the cooking biscuits, almond paste, martorana fruit, torrone sweets, slushes and many other things. It is a natural and gluten free product. The Avola Almond "Incomparable quality protected by the Consortium"
The Avola almond is unique in the whole world, incomparable for its shape and organoleptic properties. The territory makes it really special, there the clime is warm, thanks to its vicinity to the sea and the presence of the Iblei Mounts which stop the frozen winds from the northwest and the north. The almonds are a food rich in proteins and magnesium, easily digestible and very energetic. They are particularly recommended when your body needs energy. The "Pizzuta" is the hard and smooth shell, with small holes. 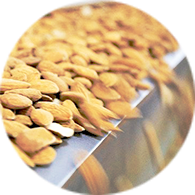 The seed has flat shape: this almond is the symbol of the highest quality haute patisserie. The "Fascionello" compete with the "Pizzuta" the primate in the application to the pastry-making due to its delicate fragrance. The last one is the "Romana" also called "Corrente d'Avola", it is easily recognizable thanks to its triangular shape. 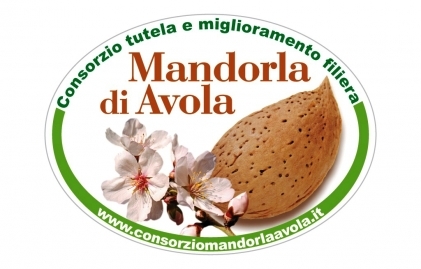 The safeguard and improvement consortium of the Almond was born in 2000 after an initiative organized by the producers, merchants, and pastry-making companies that use the Avola Almond. Confortable and Natural Sicilian Almond Paste Block, when watered down it turns into real Sicilian almond milk. The almond, a typical Mediterranean fruit, is very spread all over the South Italy, particularly in Sicily, where you can find the finest and best tasty varieties (as the ones of Noto and Avola). It is a true energetic concentrate for the almond lovers: rich in calcium, remineralizing, emollient and digestive too, it gives the right balance between minerals, vitamins and proteins. Preparation for 1 and 1\4 Liters of Almond Milk: -250g Almond block -1 L Mineral Water To prepare one liter of almond milk a 250g block is enough, break it into some pieces and put it it in a blender with the mineral water, so start to blend all, once it will be well melted filter it with a small colander and add the remaining water. Putting all in a pitcher or in a glass bottle with hermetic closure. It has to be conserved in fridge and it must be served very cold. It last for 3\4 days, before serve it shake it a few! Great for the preparations of dessert or slushes too. 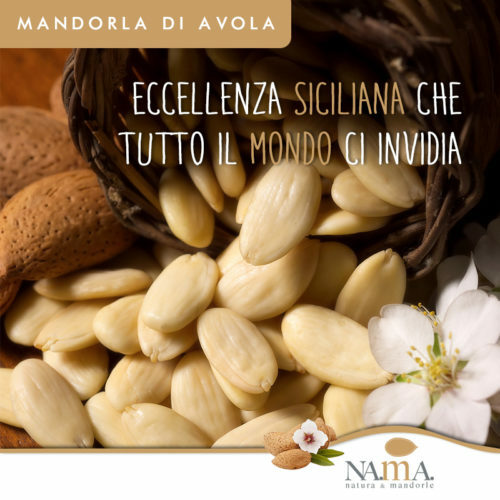 The almond varieties from Avola are among the most prestigious and popular varieties on markets worldwide. These almond trees are in bloom very early, even in mid-winter. Therefore, they only thrive near the sea and at the foot of the hills where it no longer freezes during these months. For this reason, the production area is limited to the municipalities of Siracusa and Ragusa, which are the sunniest towns of Italy. Almonds are a natural anti-inflammatory, an antioxidant and rich in nutrients. They fight high cholesterol, high blood pressure and high blood sugar levels. Thanks to the vegetable fats, antioxidants and fiber, almonds counteract cardiovascular diseases. 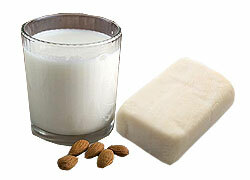 Almond milk is a good alternative to cow or soy milk. Almonds are gluten free, contain a lot of iron and calcium, phosphorus, magnesium, potassium, vitamin E and B2.